Digital spend in the UK rose by 15% to £6.4bn in the first half of 2018, fuelled mostly by a surge in video ads, according to the latest IAB data. 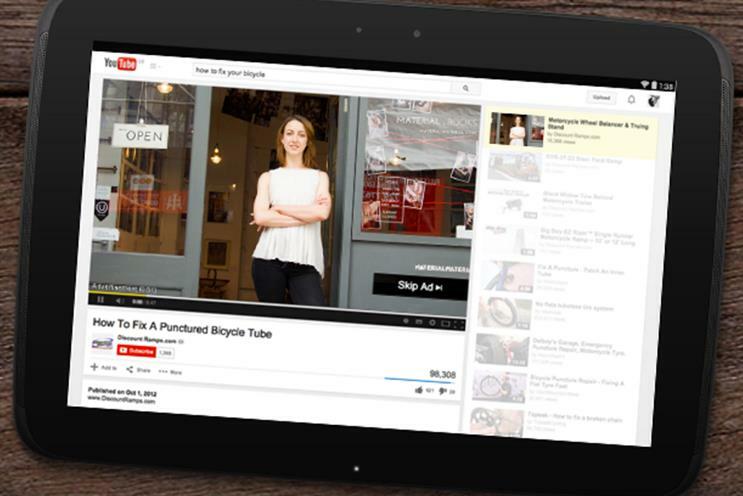 Spending on video during the six-month period rocketed by 40% year on year. This helped produce a healthy 20% increase in overall display adspend to £2.3bn. The latest IAB UK and PwC Digital Adspend report also showed search has grown 15% to £3.3bn, commanding 52% of total digital spend, while classified remained flat at £726m. The report now combines mobile and desktop adspend, the IAB said, due to the "maturation of the market", the IAB’s chief digital officer Tim Elkington explained. Elkington said: "With mobile devices accounting for 75% of all UK adults’ time online, it is safe to assume smartphone penetration continues to contribute towards the 15% year-on-year growth in digital adspend reported today." While the rise in video has been fuelled by an increase in consumer demand over the past three years, adspend has grown more slowly, according to data published by Zenith in June. 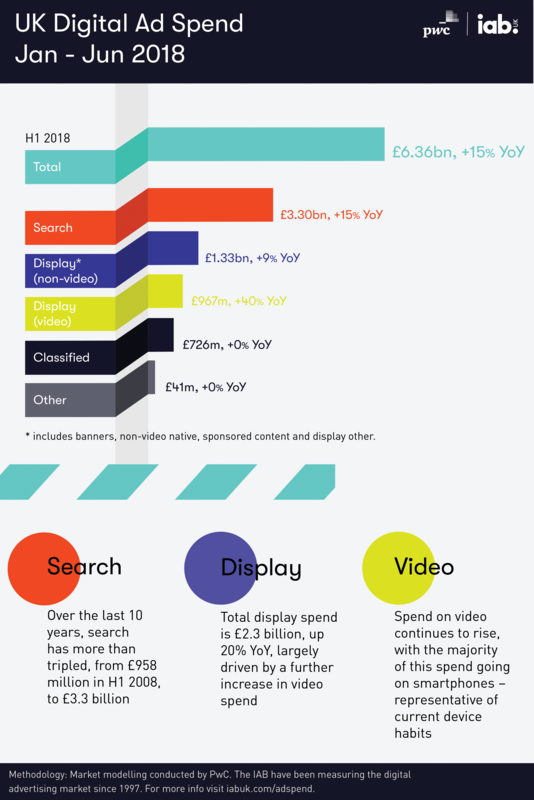 This has led to the cost of online video advertising "coming down substantially", with outstream video advertising accounting for over half of video spend in the UK last year. People in the UK are spending more time watching long-form content on mobile devices as high-speed data transmission becomes cheaper and more reliable, Zenith's report added.